For many years, data management was considered as something that burdens the activity of designers and engineers focused on CAD system work as their daily activities. I believe many people will say that this is still true. On the other hand, with the growing amount of information many users have started to ask questions such as: Where did I save my files?, Which is the latest revision of my work? Who is working on these product files now? etc. Additional changes have arisen with the shifted perception related to the place of search technologies in our life. You can hear from many people phrases like “you can Google it!”… and sometimes this seems to have become the most reliable way to find answers or information. I definitely see a growing needs for the adoption of PDM, or simply data management, becoming part of the standard function set of the Designer’s and Engineer’s environments. For example, the latest releases of SolidWorks PDMs presented consolidation on a short list of data management functionality and user experience related to this function set, embedded in SolidWorks User Interface. Major changes in SolidWorks Enterprise PDM task pane shows the need to integrate data management tasks into the regular daily work of users. Another example is the CATIA V6 release. 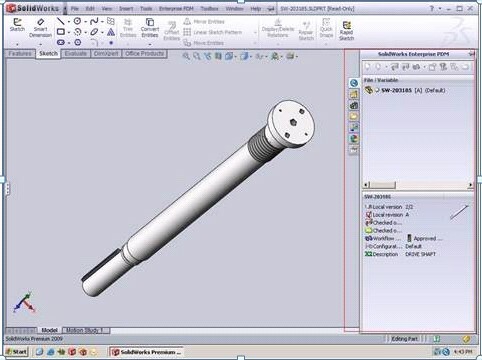 Starting from V6, CATIA data management functionality is completely integrated. Together with lifelike experience introduced in V6 and previewed last year in the Dassault Systemes 3DLive product, this environment does not differentiate completely between CAD functions and data management. Both examples show that data management has become a standard function of the environment of CAD and Engineers. 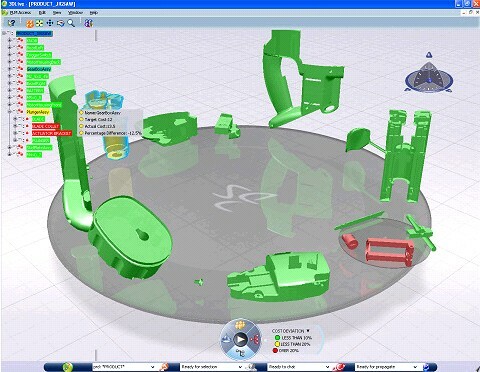 So, what we can see in the future of CAD/PDM? In my view, standardization of CAD data management will allow better use of design and engineering data in downstream environments, as well as improved usability in general. Data interfaces behind CAD systems will make the development of new technologies possible, based on data availability and reuse. to in fact obtain valuable information concerning my study and knowledge. Great post, it was really helpful web site had been wondering more about this. I’ll be sure to share this so a lot more people can see too. Interesting post, it was really helpful when i had been wondering more about this. I’ll be sure to share this so additional people can see too. more about this. We are sure to share this so more people can see too. Good post, it was really helpful as soon as i had been wondering more about this. I am sure to share this so more people can see too. Great post, it was really helpful ?nternet site had been wondering more about this. We are sure to share this so more people can see too. Interesting post, it was really helpful web site had been wondering more about this. I will be sure to share this so a lot more people can see too. Thank you, I’ve recently been searching for information about this subject for ages and yours is the best I have came upon till now. entirely, except this post presents good understanding yet. understand such designated approximately my trouble. impressed! Extremely helpful info specifically the final phase 🙂 I handle such information a lot. Hi, all is going well here and ofcourse every one is sharing information, that’s genuinely good, keep up writing.